After a stressful day, one of the precious moments that we all enjoy at home usually revolves around self care. Whether it is in terms of a good warm shower, applying scents, body care, essential oils or even implementing a little exercise; one way or another, these small little activities are what gets us through the day to the next. 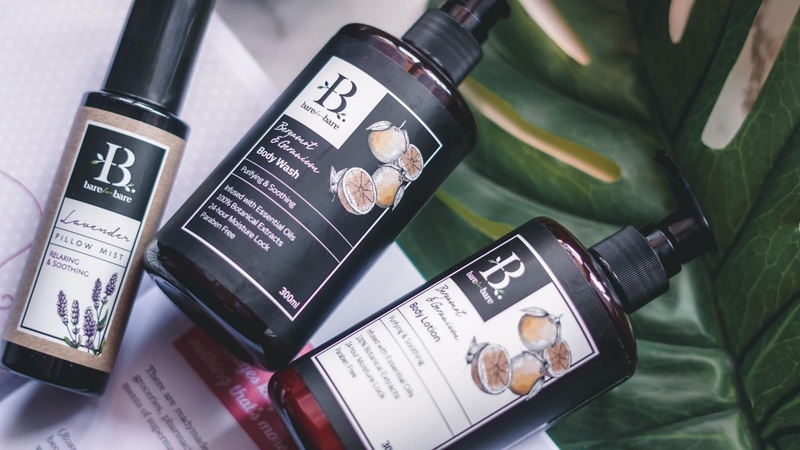 So with that, here we have the brand called Bare for Bare, which is a body and haircare brand from Singapore, that harnesses nature's healing and therapeutic benefits to boost physical well being. Now this brand in particular is inspired by a timeless approach; thus it draws its inspiration and benefits from the natural goodness of botanical treasures. So the first one that we have here is the Bergamot and Geranium range. Infused with essential oils, it is made from 100% of botanical extracts and has a 24 hour moisture lock in its formulation. 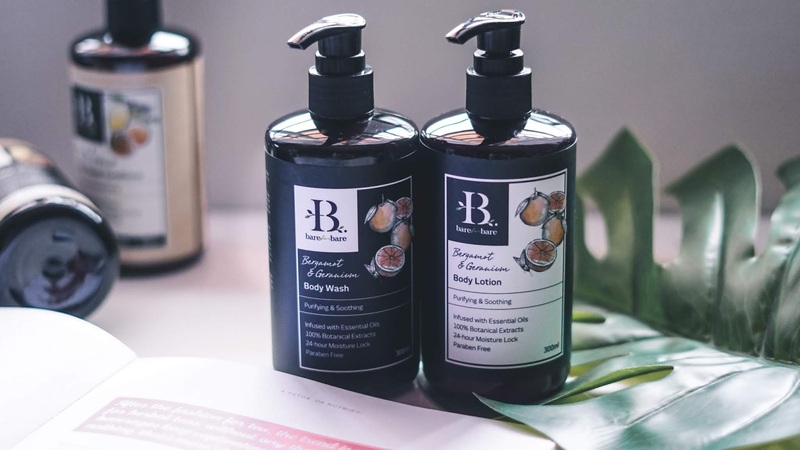 Both of its Body Wash and Body Lotion are paraben free and are meant for purifying and soothing the skin. 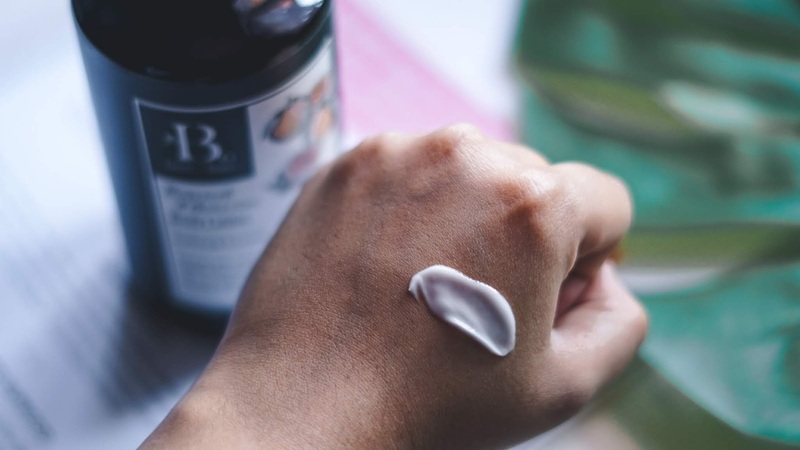 As for its texture, the lotion has a nice whipped gel like consistency that blends well into the skin, while its body wash is smooth and gives great lather too. Each of these come in 300ml, has a lovely citrus scent and fosters a natural glow for the skin. Now we should also mention that if you are looking to get the full size bottle, you can also opt for it at 500ml. 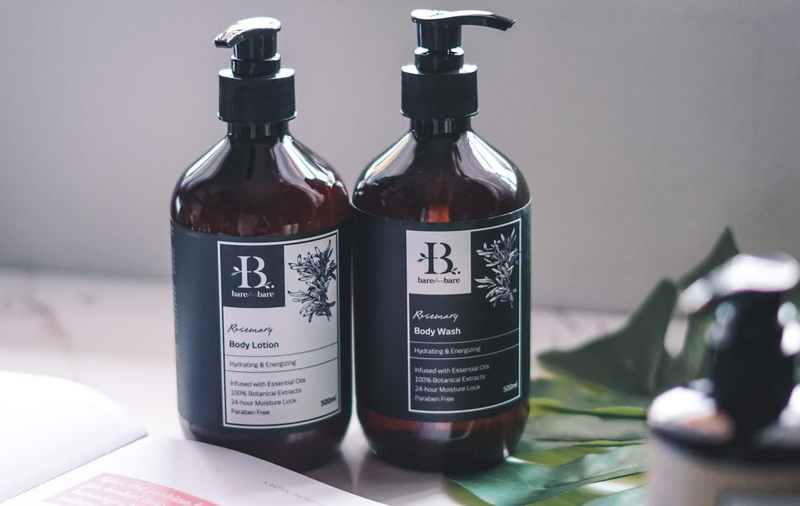 The one here that we have in Rosemary (both body lotion and body wash) are meant for hydrating and energising the skin, while giving it a fresh, herbaceous and sweet aroma that revitalises the senses. 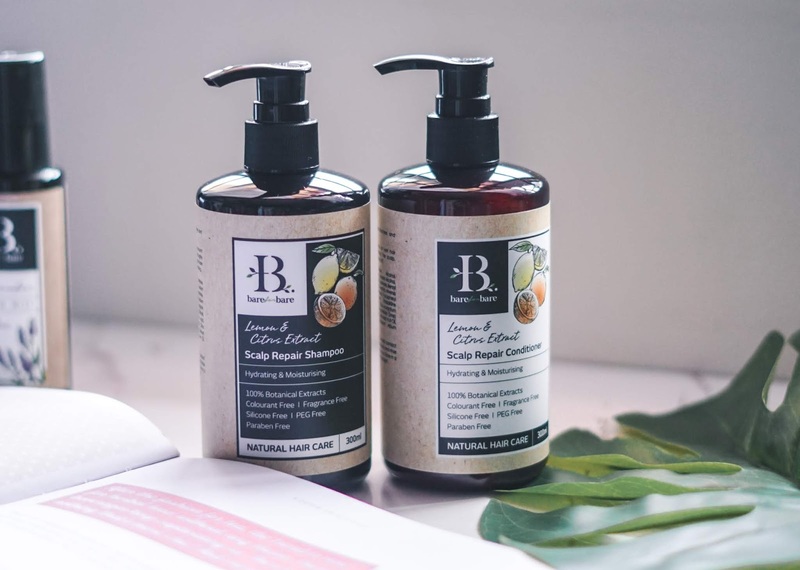 Not only that, but Bare for Bare has also come out with their selection of Shampoos, that ranges for damage repair, hair fall control, scalp care and color protection. 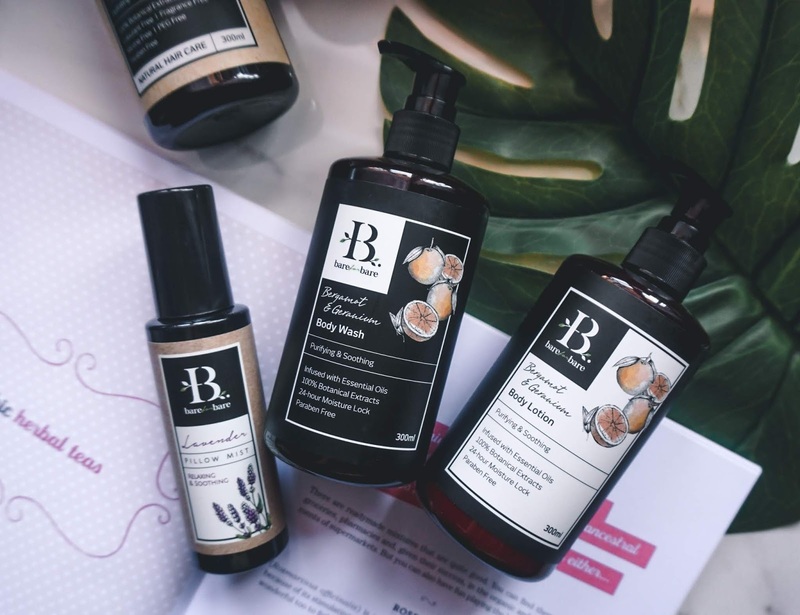 All of these are once again made with 100% botanical extracts, are colourant free, fragrance free, silicone free, peg free and are paraben free and come in 300ml and 500ml respectively. On overall, the scents on the Bare for Bare range is extremely soothing, calm and relaxing. 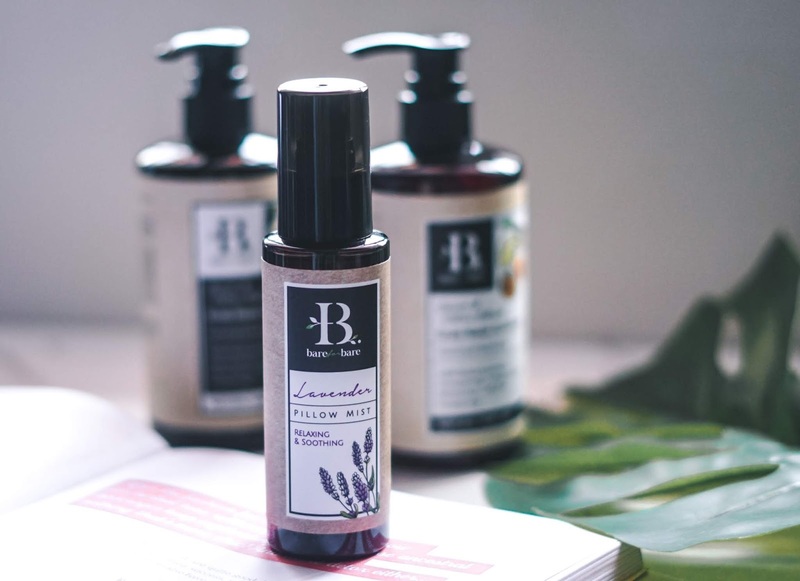 The essential oils bring a very therapeutic experience to the application, and even its pillow mist is just wonderful, especially when you are wanting to go into a deep slumber. In the meantime, for further details you can check out Bare For Bare on their Official Website, but for more updates, you can follow them on their Official Facebook Page as well.